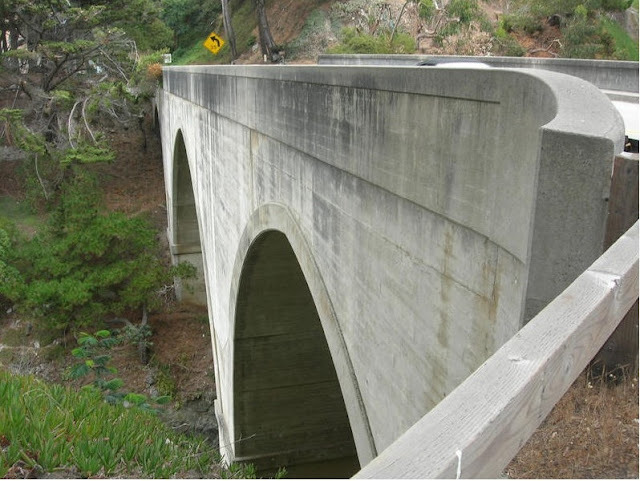 It took a while but we finally arrived at a closed spandrel arch bridge in Monterey County. The Wildcat Creek Bridge has two 57 ft long arch spans and it was built in 1933. 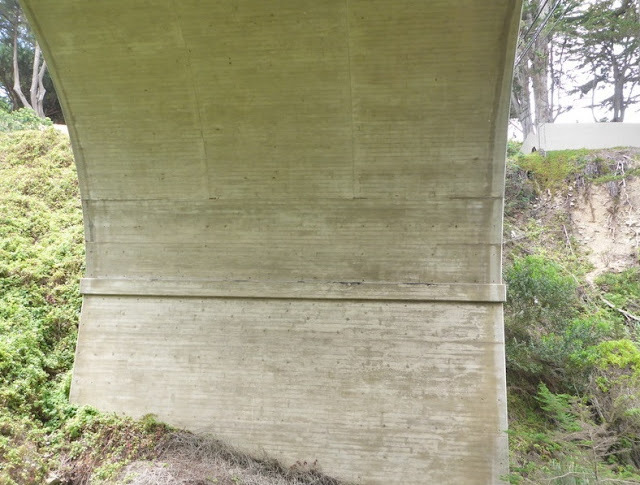 It's also different from the other arch bridges because the Pacific Coast Highway is further inland, away from the coast, and the concrete is in much better condition. Also, this bridge has a 34 ft wide deck, which is 8 ft wider than all the other arch bridges that we've been studying.